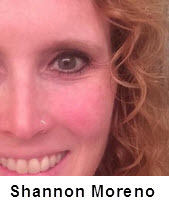 Editor’s Note: When I read this post on Shannon’s blog, I left her a comment saying everyone needs to read this message. In my opinion it goes to the heart and soul of the solution to many of our world’s social ills. Enjoy. I so appreciate this exchange between Jesus and the Samaritan woman. He models for us how we can break down social and cultural barriers, and approach people where they are. Though society would have deemed her unworthy – to acknowledge, let alone speak to – Jesus approached her directly and spoke to her face to face. He was kind, honest, and offered the hope she had so long been looking for. As followers of Christ, we are called to do likewise. Our job is to break down barriers that society deems necessary, and show the world that they are not. We must touch the “untouchable“, love the “unlovable“, give voice to the silent, and meet the needs of those without. So many are misunderstood, misrepresented, and labeled as a result of their circumstances. May we be the ones who answer the call to love our neighbors as Christ has loved us – no barriers, no limits, just love. Editor’s Note: Ken Chester is one of my favorite bloggers on the Internet. His grasp of God’s grace is singularly brilliant. I know you’ll be blessed today by his thoughts.